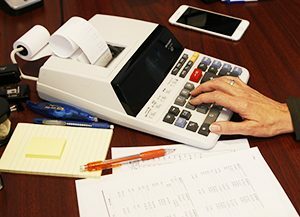 Parks & Berry CPAs is a full-service accounting firm that has operated locally since 1993. We enjoy the work and you will enjoy the service. Our team will leave you feeling completely informed. We can help you understand our processes by communicating in ways that make it easier to understand. We’re friendly, dedicated and we’ll stand behind our quick, complete service because we work for you and depend on your satisfaction. We pride ourselves on our customer retention. Our reputation is important to us. Our clients require a variety of levels services. Some simply want us to serve as a layer of protection, double-checking numbers and correcting as needed. Others require weekly assistance with accounting, leaving them free to direct their energy to their patrons. Everly client is unique. Our bookkeeping department structures its service around your individual needs. Certified Public Accountants (CPAs) are accounting professionals who have passed rigorous tests. They have to be licensed by the state in which they work. Most of our business comes from referrals and that says volumes. Laws and rules change frequently. As your company grows, changes and evolves, reassess your accounting needs. Both Joel and David are active in the local business community. Joel and David’s team stay on the forefront of technology and keep up with the latest accounting best practices. Call the professionals at 615-459-8248 or 615-819-2615 for all your consulting and accounting needs. We will keep you informed. 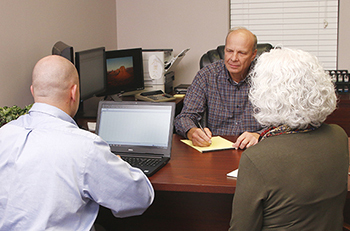 At Parks & Berry CPAs, we guide our clients through a full range of tax planning and preparation decisions with strategies that minimize your tax liabilities, maximize your cash flow and keep you on track to your financial goals. Whether you are an individual, business or a non-profit, our expertise, experience, analysis and thorough research allow us to optimize financial opportunities to be found in existing as well as recently altered tax laws. We are knowledgeable and up to date on the tax laws and can make sense of your receipts, bills and notices.